Christmas Giveaways Day 6: Win Christmas Hampers from The Lion Rock Press! It’s going to be Christmas all year round in 2019 for three of our readers! We’re giving away three Christmas hampers stuffed with goodies from The Lion Rock Press holiday gifts collection! 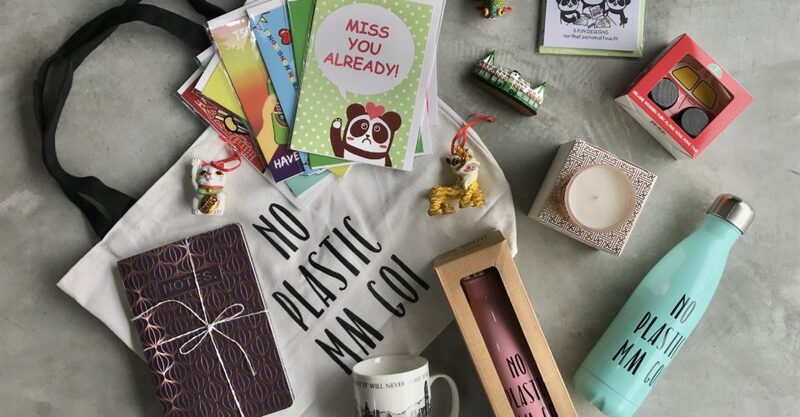 Each hamper is valued at over $2,000 and inside, you’ll find: a “#NoPlasticMmGoi” canvas tote bag, water bottle and tumbler; five kids’ coloring cards; a Hong Kong skyline soy candle; a set of three luxe notebooks; a “You Can Leave Hong Kong But It Will Never Leave You” mug; three hand-painted Christmas ornaments; a Star Ferry magnet; and 10 greeting cards. Enter by December 13. Winners will be announced on December 24. Share this Giveaway with your friends for a greater chance to win! Entry form below. Don’t forget to like The Loop HK on Instagram and Facebook, and The Lion Rock Press Instagram profile and Facebook page. Written by The Loop HK for The Lion Rock Press.